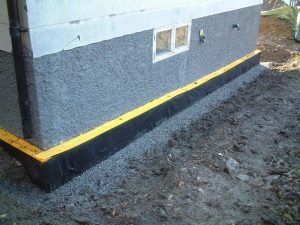 Underground buildings usually present moisture and heat loss problems. 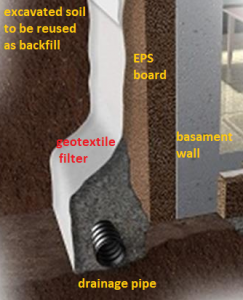 Basement walls must be therefore adequately protected by specific systems of water drainage and thermal insulation. 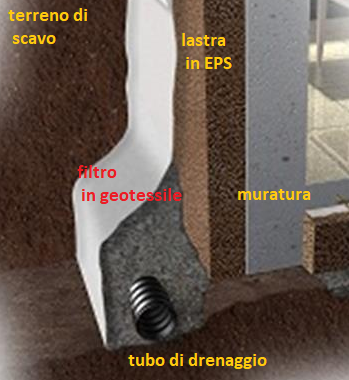 Special high porosity expanded polystyrene (EPS) boards installed between a basement wall and the excavated soil can efficaciously prevent heat loss and, at the same time, break the capillary water flow thanks to their drainage structure: so that the wall can be kept warm and dry. 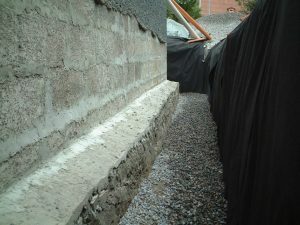 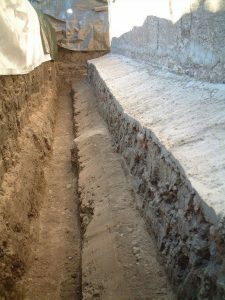 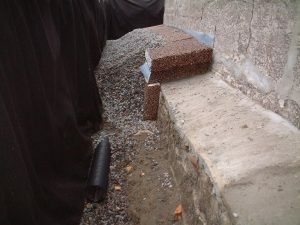 Excavated soil can be reused as backfill material (saving then time and extra-costs of a granular fill material), on condition that the EPS boards are separated from soil by a light geotextile filter (i.e. 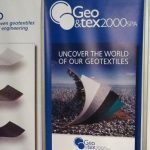 GEO 120-150 g/m2 nonwoven geotextile) which prevents their clogging by fine soil particles, so guaranteeing long term drainage capacity. 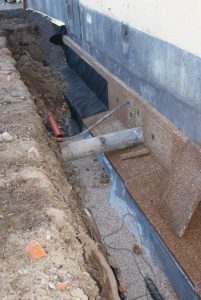 Soil water will then easily drained downwards through the pores of EPS boards, and removed by a drainage pipe at the base of wall.